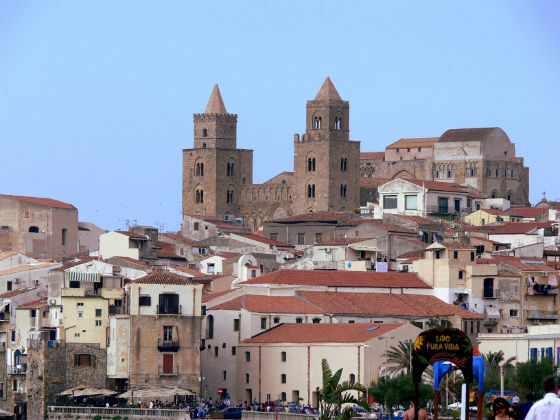 The Cathedral – generally known as Duomo – is certainly the most famous and important monument in Cefalù. 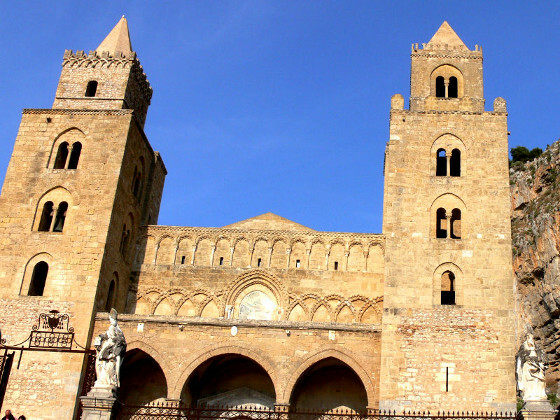 Its founding stone was posed in 1131 by the Norman king Ruggero II who, according to the legend, was fulfilling a vow made during a terrible and sudden storm – to build a magnificent Christian temple in the place where he would be taken to safety. The external façade dominates the surrounding square with its two imposing towers, the three gothic arches, and the fifteenth-century portico under which is the Porta Regum (Kings’ door). The interior is structured according to a classical Latin cross, dividend into three naves by two rows of ancient columns, clearly coming from a different site. The apse is covered by magnificent mosaics commissioned by Ruggero II to Byzantine masters; the decorative cycles have in fact a very distinctive Oriental flavour. 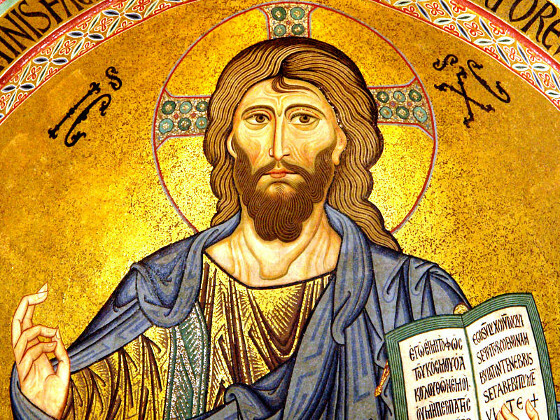 The dominant figure is Christ Pantocrator observing the faithfuls with a sweet and yet severe look. From Piazza Duomo you can reach the Museo Mandralisca through the homonymous street (at number 13, www.fondazionemandralisca.it). 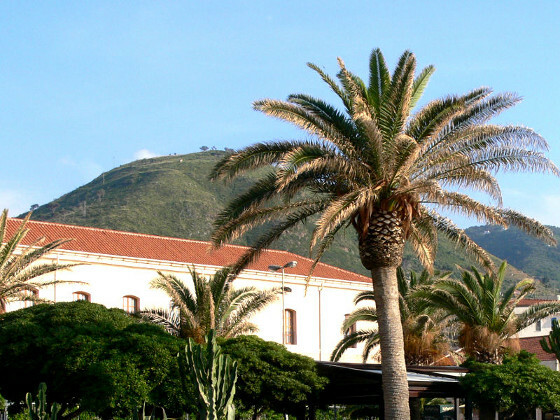 The museum exhibits scientific and artistic collections bequeathed to the city by Earl Enrico Pirajno di Mandralisca, a patron from Cefalù who lived during the first half of the nineteenth century. The museum definitely deserves a visit, especially the precious painting by Antonello da Messina ‘Portrait of a young man’ also known as the ‘Portrait of an ancient sailor’. 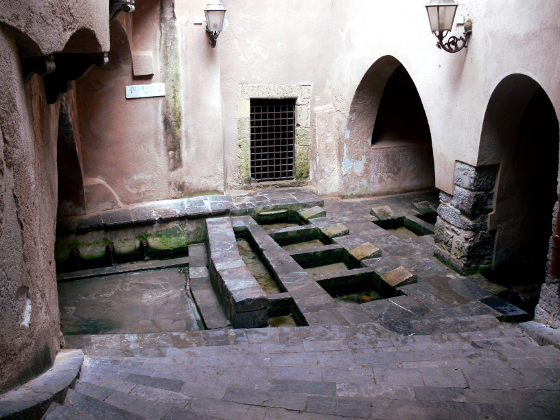 Another interesting sight is the public washing site, known as "Medieval laundry site" the ‘Lavatoio medioevale’ (Via Vittorio Emanuele); lava stone stairs give you access to a series of basins filled with water coming out of twenty-two iron openings in the walls. Through a small niche the water then reaches the sea. 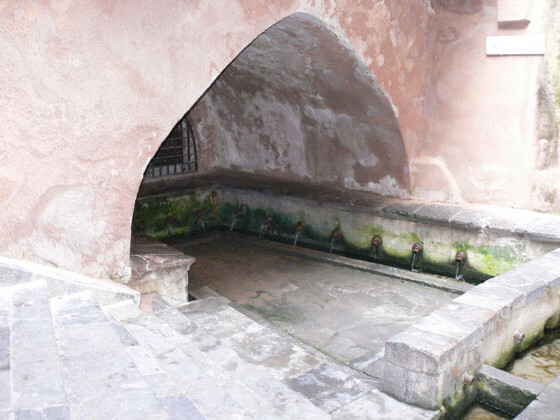 Inside the basins you’ll notice the supports once needed to wash and rinse the clothes. Recently restored is the small Municipal theatre (discesa Paramuro). It is named after Maestro Salvatore Cicero, and it has three rows of boxes and painted decorations (ceiling, backdrops and curtains) dating back to 1885. Classic destination for your afternoon stroll (but you can also enjoy a swim there) is the promenade (lungomare Giuseppe Giardina), flanking a very long beach, partly free and partly occupied by lidos. For more serious hikers there’s a 2,7km (return) uphill path starting from Corso Ruggero and ending at the Rocca, the promontory dominating the Cefaludean landscape and giving it its unique scenography. The Rocca still presents its original Mediterranean vegetation and you’ll be able to observe the amazing flight of the Peregrine Falcons. The Temple of Diana, a megalithic construction dating back to the IX century B.C. 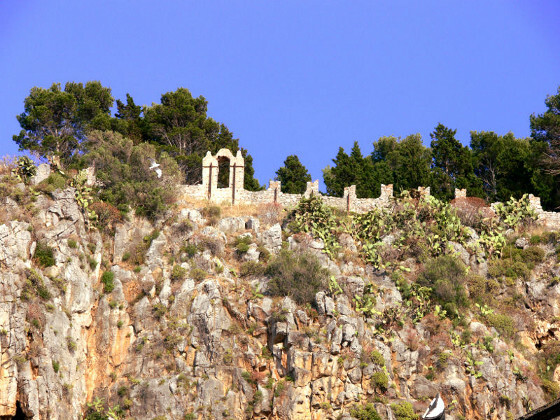 can also be admired there, and the imposing embattled walls and the picturesque ruins of the old Castle of Cefalù dating back to the XIII-XIV century A.D. The most important festival is certainly the one dedicated to the SS. Salvatore, taking place on August 2nd-6th. The festivities include a religious procession, bells’ concertos, firecrackers, street music and great fireworks in the night of August 6th. Also on August 6th you’ll enjoy the so-called ‘Ntinna a Mari’, a traditional game where players walk on a very slippery pole suspended horizontally over the waters of the harbour to reach the ensign of S. Salvatore. Sailors in particular make very competitive players. Also beautiful is the boat procession taking place on the eve of August 15th.Taking place in Cefalù around mid-September is the Sherbeth Festival (or ice cream festival): throughout the city small stands are built where ice cream artisans from all over the world offer their products at token price. Prepare yourself to try some of tastiest and most bizarre ice creams you’ve ever seen. Excursions on fishing boats (spring, summer and early fall): You can spend a day cruising along the coast with professional fishermen, enjoying the local seafood caught and cooked on board! Diving: The coastline of Cefalù offers an interesting backdrop and some ruins of an ancient Roman port. Excellent pizzeria with a beautiful terrace for hot summer nights. We suggest you try the ‘sfilatino’ and the ‘caramella’… you won’t be disappointed! Among numerous open-air cafes we suggest you try the bar bar Duomo (sitting area in the middle of the Cathedral’s square) where you can have good ice creams and granite while enjoying the view, and the bar Antica Porta Terra (Piazza Garibaldi, 6 – Tel. 0921 424828), serving truly excellent ice creams. For take-away ice creams and desserts try l’Angolo delle Delizie (Via P. Novelli, 2/4, Palazzo EGV Center – Tel. 0921 923047. … and many many others you’ll discover!